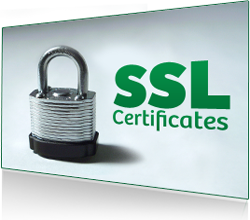 SSL Certificate | BrainSoft Software (P) Ltd.
SSL Certificates from BSPL provide the strongest 2048-Bit and SHA-2 encryption available in a variety of options designed to meet your needs, whatever they may be. Whether you need WildCard BSPL for multiple sub-domains, a Unified Communications Certificate designed for Microsoft Exchange Server (sometimes called a SAN Certificate due to its use of Subject Alternative Names), the stronger identity assurance and green address bar of Extended Validation EV SSL, or a standard Single-Name Certificate, BSPL has the solution for you. If you’re not sure what you need, this Certificate Comparison page can help you decide. The more your customers trust you, the more they buy from you. BSPL provides the best identity assurance in the industry, so visitors to your website will know who they are doing business with. Smart companies all over the world use DigiCert’s extended validation EV SSL certificate, secure site seal, and branding to help build trust.